Apple and Samsung’s bitter war takes on new dimensions today, with the report from China Business News that Apple has switched battery suppliers of its iPad and MacBook ranges. Hitherto, Samsung SDI, the battery-making subsidiary of the South Korean outfit, has been providing the batteries for some of the Cupertino’s most celebrated products, but now Apple is thought to have replaced the Galaxy maker with two Chinese companies, Amperex Technology Limited and Tianjin Lishen Battery. While Apple has, in the past, tried to reduce its reliance on Samsung for so many of its components by drafting in other companies, on this occasion, it would appear Samsung has pulled the plug on manufacturing duties. 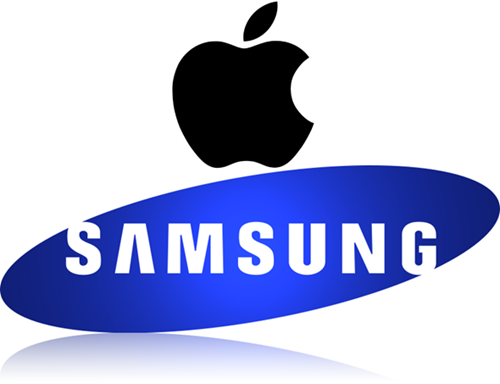 With both companies head and shoulder above the chasing back in the mobile industry, rivalry is part and parcel, but with constant litigation between the two, Samsung’s roles in manufacturing parts for Apple seem to be wearing thin. Despite the battery situation, Apple relies heavily on Samsung as a component partner, and while it would perhaps prefer not to have such ties to a rival with which the relationship is turning increasingly sour, finding alternatives is part of a process that simply cannot happen overnight. In fact, Apple CEO Tim Cook noted in Apple’s recent quarterly conference call that Samsung would remain an important partner in the near future, but with revelations like this one from China, I wouldn’t be surprised if business ties between the two companies continue to be severed. With reports flying about recently stating Samsung had upped processor prices for Apple, while others suggested that Apple would be seeking its displays from elsewhere (both of which have been denied), the global duel is intensifying, and with Samsung shortly appealing a recent San Jose jury’s decision to award Apple $1.05 billion in damages, it’s a duel that won’t be petering out any time soon. Apple reportedly been looking down various avenues for suppliers of vital components of its various products, but nobody foresaw this dramatic shift, with Samsung all-but walking out – clutching hoards batteries. We’ll keep you updated on any further Apple vs. Samsung drama as it unfolds, so stay tuned to our coverage here at Redmond Pie!